If you think dating is only for teenagers or young adults, think again. Seniors of all ages who find themselves without a partner in their golden years turn to dating as a way to find companionship and relieve the loneliness that so many experience. Of course, dating in early adulthood is certainly different than dating as a senior. The emphasis of what people are looking for changes with time. Younger people tend to be concerned with three main things when dating: Looks, age, and marriage potential. Seniors, on the other hand, don’t give much importance to these things. That’s not to say that there aren’t some who put these three things at the top of their list, but most seniors tend to have different priorities. 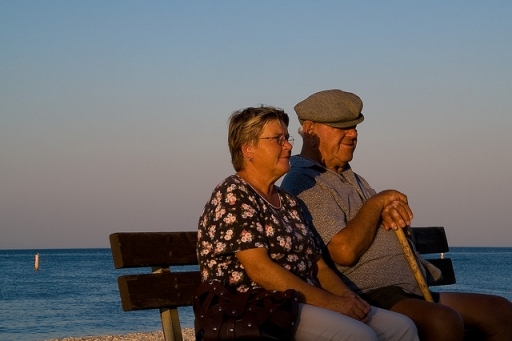 What Are Seniors Concerned With When Dating? When dating, seniors are concerned with three main things: Companionship, shared interests, and physical capabilities. Companionship means that they have someone to talk to when they eat dinner at night, someone they can meet for coffee, someone who asks them to let them know when they get home. Shared interests means someone they can play golf with, go to a museum with, or play Scrabble with. Physical capabilities means someone who can physically do the same things they can do, i.e., walk or go swimming. Physical capabilities are much more important for seniors than age is, because everyone ages differently. A man of 80 can be in better physical shape than a man of 70 – what matters is that he is able to join his potential partner in her interests. Younger people also give importance to smaller details, such as the race, religion, profession, income, family history, etc. of a potential dating partner. Younger people focus on these things because they are planning on building a future together, and want to make sure they are on the same page as their potential partners. Seniors, on the other hand, tend not to focus on these smaller details, because they are not necessarily looking for marriage (they may have already been there, done that). They are not seeking to build a future, they are simply seeking a companion who will help them enjoy their present lives. Seniors have also been around the block enough to realize that the smaller details are not the end-all and be-all of a relationship; if love is what they are looking for, they know not to put too much stress on the small stuff. Some seniors might be embarrassed to tell their family members they are dating, even though there is certainly no shame in it. If your parent or grandparent shares with you that they are dating, be encouraging and supportive. If you know someone you could set them up with, even better. Many seniors are more comfortable being fixed up by someone they know than they are trying online dating services (but online services should not be discounted either). What’s important is that the seniors in your life are happy and safe!